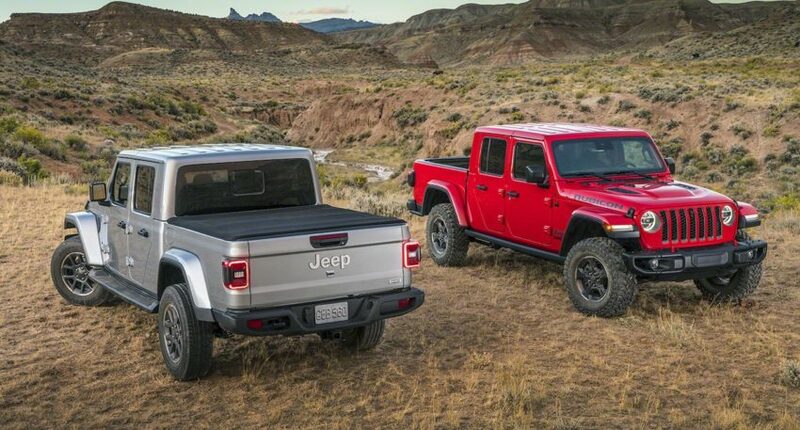 The 2020 Jeep Gladiator is one of the most hotly anticipated trucks on the market. Combining the off-roading abilities of a Jeep with the rugged versatility of a pickup truck, this vehicle will haul kayaks, mountain bikes, sporting equipment — you name it. Its washable cabin floor and lined truck bed mean it’ll take all the abuse a weekend warrior throws its way. Many suspected Jeep would name this vehicle the “Scrambler” or “Comanche” as a hat-tip to previous vehicles in its line-up. The Gladiator name was actually used for a full-size Jeep pickup truck that was built from 1962 to 1988. 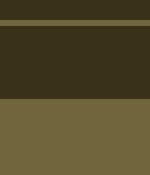 It survived Willys, Kaizer, American Motors, and Chrysler ownership, and it was the base of various commercial and military vehicles. The Gladiator comes standard with Jeep’s 3.6-liter V6, making 285 horsepower and 260 pound-feet of toque. Power is sent through either a six-speed manual or eight-speed automatic transmission to standard four-wheel drive. This combination will be good for a towing capacity of 7,650 pounds and a payload of 1,600 pounds. Later next year, expect a new diesel engine with more than 440 pound-feet of torque. A Jeep wouldn’t be a Jeep without that trail-rated badge on the front quarter panel, and the Gladiator is no exception. It has aggressive approach angles and ground clearance as well as Dana 44 axles, a favorite among off-roaders. 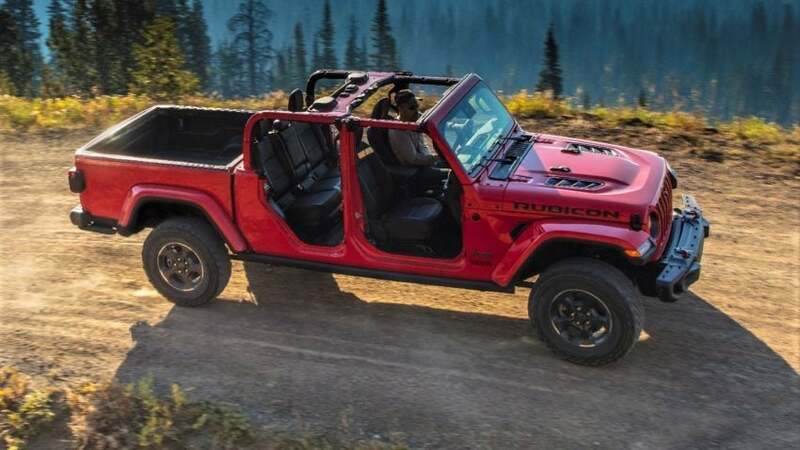 The Gladiator Rubicon also comes with 35-inch off-road tires, Fox off-road shock absorbers, electronic-locking front and rear differentials, and an electronically disconnecting front sway bar. Trims include the Sport, Sport S, Overland, and Rubicon. Standard features on the Sport include Bluetooth hands-free calling with voice command, a 5-inch infotainment screen, USB port, and backup camera. The Sport S makes available certain options packages, like the Cold Weather Group and larger Uconnect touchscreen. The Overland can be optioned up with heated seats and leather upholstery, and it adds a leather-wrapped steering wheel, a shift knob, a wall-style 115-volt power outlet, and a 7-inch touchscreen. Both the Overland and Rubicon trims can have an optional 8.4-inch touchscreen. The Rubicon adds special cameras on all four sides for seeing the trail. The front trail camera has an integrated washer, so you’ll always know what’s down in front of you.